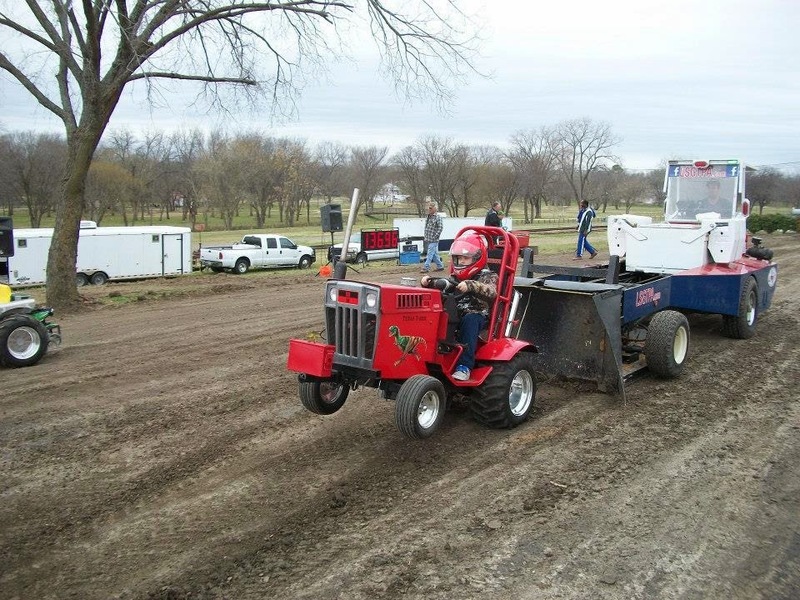 As the 2014 LSGTPA tractor pulling season approaches, several teams took advantage of a pre-season Test and Tune event, held at the new Powder Creek Park pulling track in Bonham, Texas. The newly constructed facility is located near the historic Powder Creek Park area, just south of downtown. 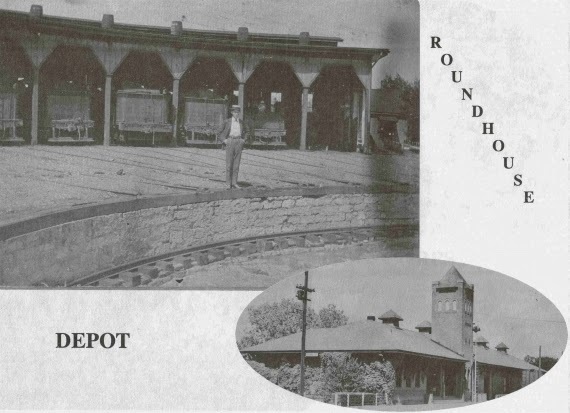 The location runs along the historic Texas & Pacific Railway tracks, that once serviced the T&P Railway Roundhouse, remnants of which are still visible just a few yards west of the pulling track. The Fannin County Museum of History, is located just across the street from the site, housed in the Bonham T&P Depot. The new Powder Creek Park pulling track in Bonham, is located along the historic T&P railway site. Approximately a dozen teams attended the test session, and although the track is still under construction, found a nice surface to test the setups on their machines. The track looks to be a great venue in a great location, and should provide for an awesome show during the Bonham Heritage Days pull scheduled for May 3rd. 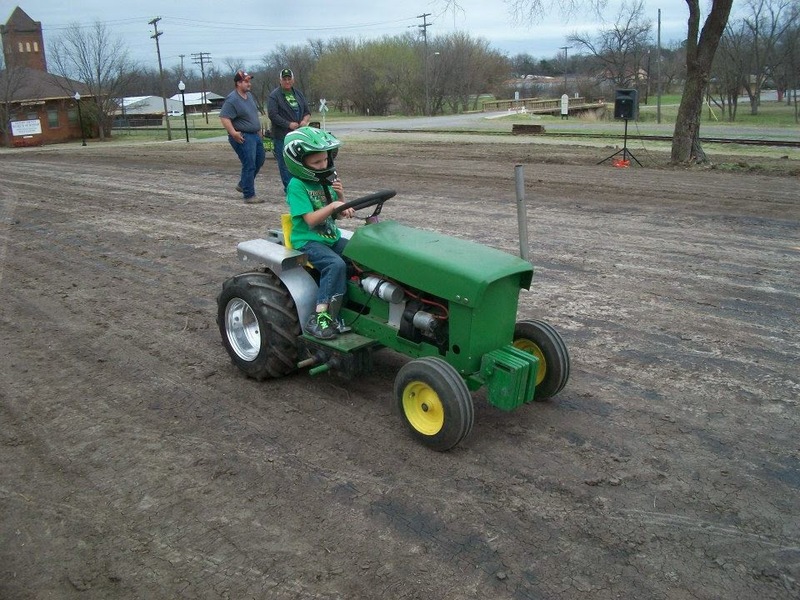 Lane Duncan exercises his 'Texas T-Rex' LSGTPA Youth Class pulling tractor, at the Powder Creek Park pulling track. 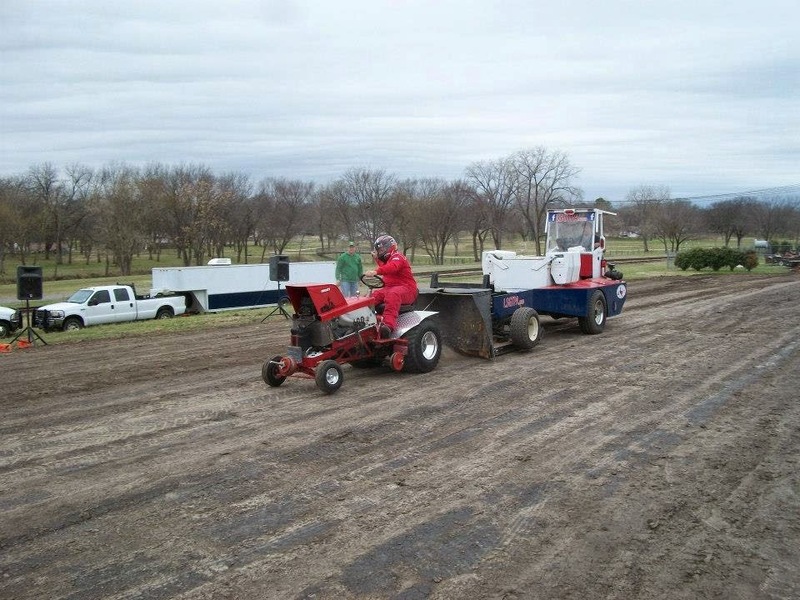 Steve Hovind aboard the Mean Green Pulling Team machine on the new LSGTPA pulling track in Bonham. Steve Pierce takes the 'Buzzards Roost' tractor downtrack at the Bonham Powder Creek Park facility. Jared Stephan drives on the newly constructed surface of the Bonham Powder Creek Park track. The LSGTPA Youth Class drivers found a break in the action, and adventured to the Powder Creek Park Community Playground, just across the tracks from the pulling track. 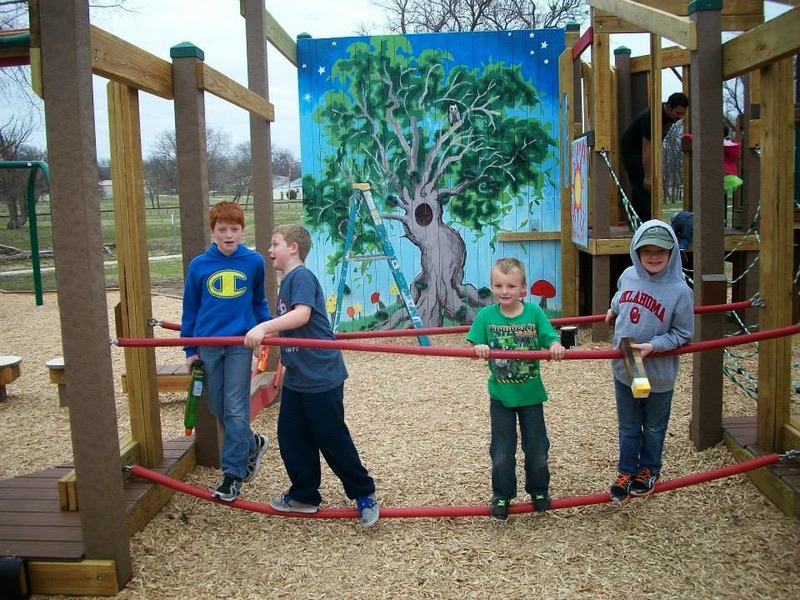 Volunteers recently constructed the playground and have provided an excellent facility for children visiting the park. Youth Class tractor pullers enjoy the Powder Creek Park Community Playground in Bonham. Powder Creek Park in Bonham, Texas. The LSGTPA 2014 Event Schedule is progressing ! 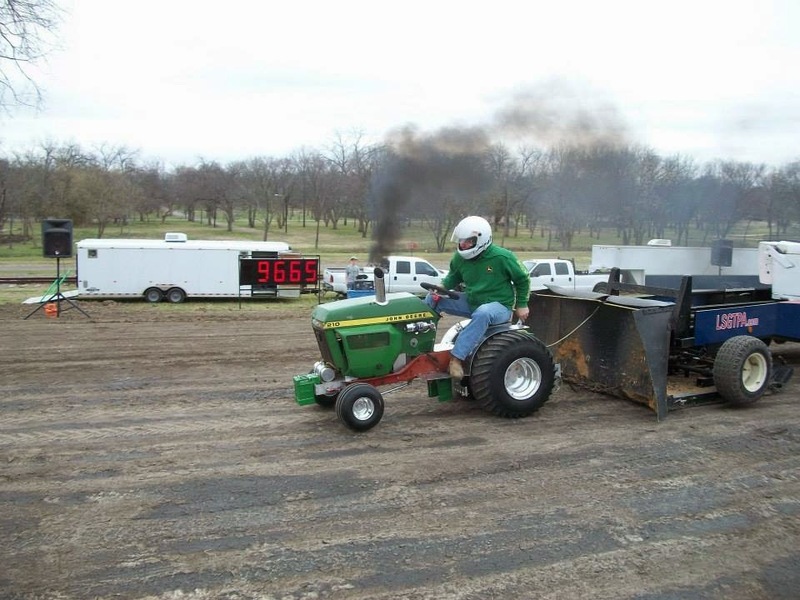 Beginning with the Season Opener in Cooper, Texas, the pulling teams look to be scheduled for about a dozen events, so far. Visit the www.lsgtpa.com website, for event information, maps and specifics. See ya'll at the tracks !